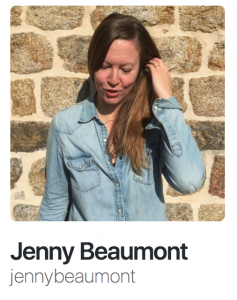 I’m very happy to announce that Jenny Beaumont has joined Human Made as a Senior Project Manager. Jenny is a familiar face in the WordPress community, having had a big impact in her local French community as a WordCamp Paris organiser and on the wider European community as one of the organisers of WordCamp Europe. Her experience, however, extends well beyond WordPress; she has twenty years experience in the web industry, both as a freelancer and as the founder of her own agency, and has gained experience in design, animation, front-end development, and project management. It’s project management which will be her focus at Human Made, where she is already managing one of our biggest client projects. Her knowledge, experience, and organisational skills make her a big asset to the Human Made team. Welcome on board, Jenny! When I set out three years ago looking for change, looking to move on from the freelance career that after so many years had run its course, I didn’t really know what I wanted to do. I just had one idea in mind, one priority that guided me as I explored my options, talked with different people at all levels of various companies: I wanted to join a great team. What defines a great team for me? A dynamic group of individuals, full of talent and passion, who support one another, lift each other up and consistently create opportunities for learning and growth. There are a LOT of great teams out there. So how do you know which is the best fit? When it just feels natural, like you’ve already been working together for years, and when you have that sense that this is where you belong, that this is where you can bring the most value. I am thrilled to be joining this amazing team of humans and to seeing where this new chapter in my life leads. Let the adventure begin!